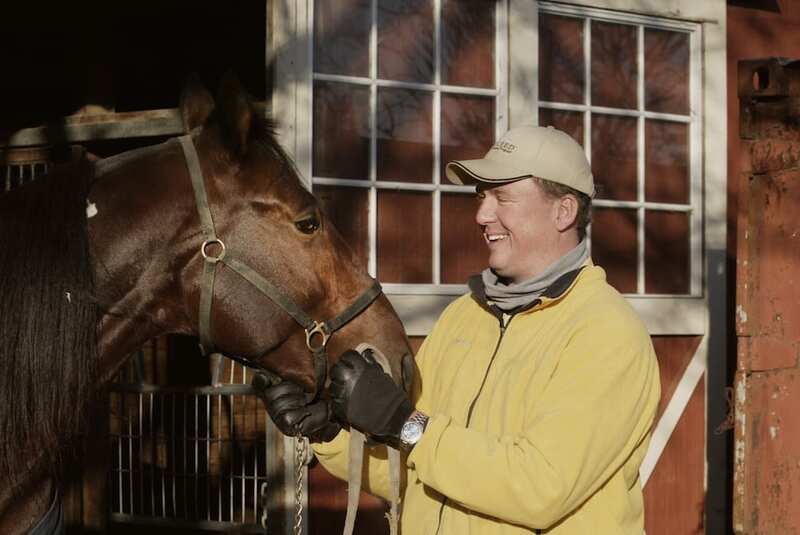 The Burke Racing Stable, located in Canonsburg, Pennsylvania, has a long history of success. Mickey Burke, a one-time car salesman who competed in hunter/jumpers growing up, drove his first harness race in 1956. He was hooked immediately, and turned it into this full-time career in 1981. Burke Racing Stable continued to prosper under Mickey and his wife Sylvia. Then their son, Ron, took the lead role in 2009, and things just kept getting better. In November 2014, Ron Burke became the first Standardbred trainer in history to achieve 1,000 wins in a season, beating his own record of 906 wins the year before. And as reported in the New York Times, Ron became the first harness racing trainer to earn $100 million in purses won — an impressive achievement in an industry where the purses are generally much smaller than in Thoroughbred racing. In 2014 alone, he earned more than $28 million ($28,395,784), the record for earnings in a single year among all of racing (passing thoroughbred trainer Todd Pletcher’s record, set in 2007). Needless to say, it was a good year. But according to Ron and his father, now 78, it’s not all about winning big purses and setting records. In their eyes, it’s all about the horses. When the Burkes started winning more in the early days, the stakes were raised. And with higher stakes came even higher standards of care. 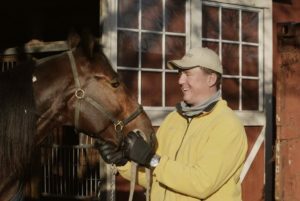 Mickey and Ron were investing in top horses, and under the training of the Burkes, the horses were responding to the increased demands of harness racing competition. 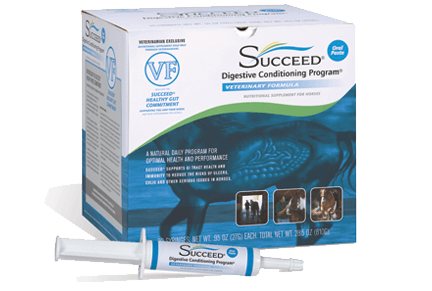 To help keep their investments in top shape, the Burkes agreed to a trial of SUCCEED Digestive Conditioning Program with three horses in 2004. They saw results within 15 days, and haven’t stopped feeding SUCCEED since. Eleven years later, Ron Burke still looks to SUCCEED to help his horses look and feel their best. “SUCCEED helps our horses stay in excellent health, and that’s the most important thing,” Ron said. The Burkes feed SUCCED to around 20 to 30 horses year round. 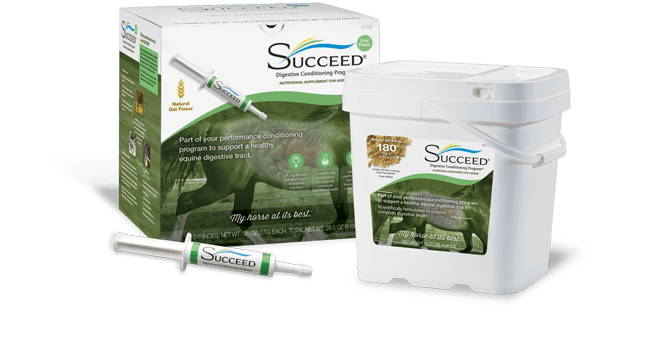 Most of his top performers get SUCCEED, but if Ron notices a horse that looks lackluster, or has lost weight or otherwise seems compromised, that horse goes on SUCCEED straightaway. Like any top trainer or competitor, Ron is on the road with his horses quite a lot. So it’s not surprising that his most well-traveled horses are also the ones he feels need SUCCEED most of all. They also tend to be his top performers. And this year, Ron fully intends to ask the most out of his biggest stars. The Hambletonian, named after the foundation sire of the Standardbred horse breed, is the first event in the Triple Crown of Harness Racing for Trotters. In order to increase his chances, Ron says he’ll be training hard and keeping a close eye on his horses to be sure he can support them however possible. To do that, though, he says he won’t have a lot of additional tricks up his sleeve.